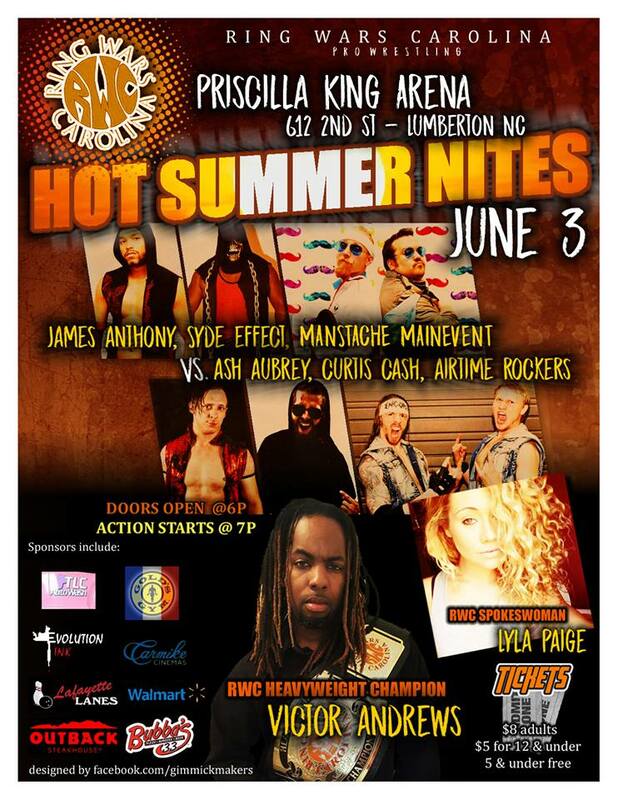 Ring Wars Carolina: Upcoming Event: " Hot Summer Nites"
As my friend would say "Its getting Hot in Here!" Summer is coming and Lumberton is feeling the heat! You can catch all the action June 3, 2017 when Ring Wars Carolina presents " Hot Summer Nites!" The Heavyweight Champion, Victor Andrews will be in the House with the All or Everything Challenge! Who will he pick? Things are heating up to a boiling point with 8 RWC competitors. Now that Syde Effect has replaced an injured, Devin Worthy the teams are back even. This match will set Lumberton on fire alone. Don't hear about it, see about it! 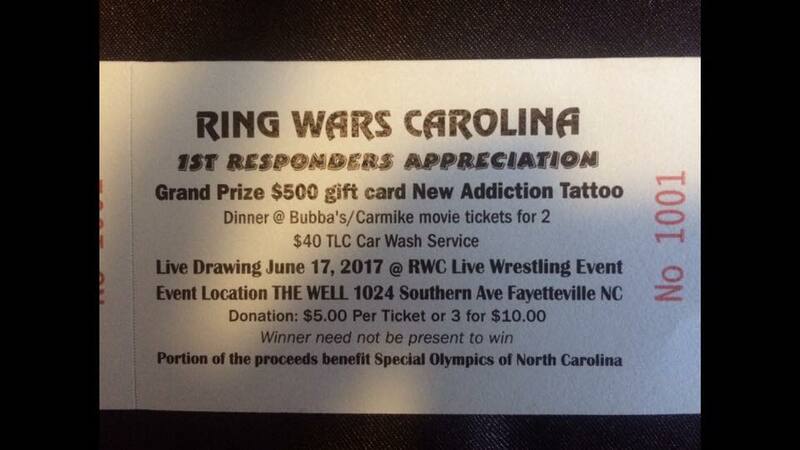 Be there to get your hands on a very special raffle ticket also. 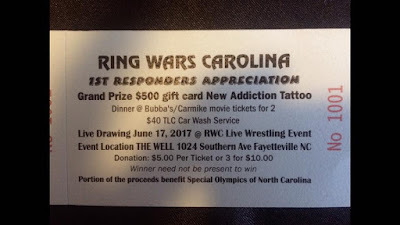 1st prize is a $500 dollar gift card to New Addiction Tattoo 2nd prize is Dinner & Movie with Bubba's 33 and Carmike theater. 3rd prize is $40 dollar gift card at TLC Carwash! As you can see below, hot of the press! $5 for 1 ticket or 3 for $10. You do not have to be present to win! Not just a show but, an Event! See you June 3, 2017 @ Priscilla King Arena 612 2nd street in Lumberton NC!